In the previous article, we began our exploration of security testing in Android applications. We started by discussing the testing problem and analyzing the first testing tools suggested by OWASP Mobile Testing Guide (MSTG). In this chapter, we will focus on the next tool for static security analysis suggested by MSTG - AndroBugs. Before we get to the analysis tool, we should discuss one important matter - benchmarks. Having a reference point is a critical aspect of security testing. That kind of reference will introduce the testing context and provide the data that our results can be compared with. It is especially important at the reviewer’s training stage. The reference point can help to better understand the testing context and the scope of the expected results. The problem is finding a good benchmark. Such a benchmark will be a visualisation of a complex or interesting case which will make it more valuable for the testers. As an example, for mobile security testing, we can use the DIVA project. 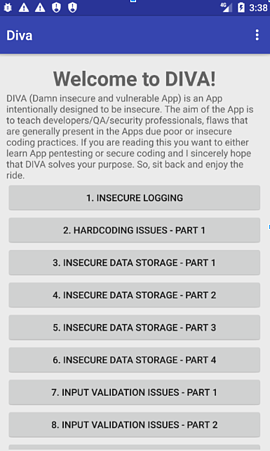 DIVA, aka the Damn Insecure and Vulnerable App, is an Android application designed and created by Payatu. The app is designed in such way as to be extremely insecure. It was created to teach developers, QA, pentesters, students, etc. about potential vulnerabilities in Android Applications. It contains several common vulnerabilities, issues and bad coding practices covering both JAVA and native code. Massive analysis (multiple apps analysis at one time). To run AndroBugs you need to fulfill only one requirement: having Python 2.7.x installed. There is also an additional requirement if you want to use Massive Analysis. To use this feature you need to have the PyMongo library installed. Massive Analysis is a mode of the AndroBugs framework that allows you to run an analysis for a large number of apps at the same time. The Mongo database is used to optimise analysis and save results. Later you can easily filter results in multiple ways using filtering commands. Below you can find an example output file that was generated by the AndroBugs framework. As you can see, the output is split into three main sections. The first section contains basic information about the analysed app. There, you can find data like package name, version and build name, both SDK versions (minimum and target), and fingerprints of the APK file. Under the basic info section, you can find the main result of the analysis. The next section contains a list of detected vulnerabilities. Each of them is classified with a predefined severity level. This classification can be very useful for reviewers. It will allow them to group detected vulnerabilities and prioritize tasks related to them. Moreover, each item contains more detailed information about the detected issue. There, you can find a description of the issue with links to articles with an elaborate description of the issue. The description can also contain a link to the part of the source code where the issue was found. Unfortunately, the links only appear for Smali code, so to find the exact method you need to manually perform decompilation. The last section of the result file contains simple analysis statistics and analysis time. Below you can find the results of the analysis of the DIVA app. the debug messages by Logcat. Please disable the DEBUG mode if it is a released application. attribute to [exported="false"] or set at least "signature" protectionalLevel permission if you don't want to. Found "exported" components(except for Launcher) for receiving outside applications' actions (AndroidManifest.xml). The attackers can use "mWebView.loadUrl("file:///data/data/[Your_Package_Name]/[File]");" to access app's local file. phone's screen 2.Open the developer mode). The sensitive data may include lifetime access token, username or password, etc. This app is using Android SQLite databases but it's "NOT" suffering from SQLite Journal Information Disclosure Vulnerability. This app is not using critical function 'Runtime.getRuntime().exec("...")'. Did not find codes checking "root" permission(su) or getting system permission (It's still possible we did not find out). Ignore checking "SQLiteDatabase:beginTransactionNonExclusive" because your set minSdk >= 11. This app is "NOT" using SQLCipher(http://sqlcipher.net/) to encrypt or decrpyt databases. No dynamic code loading(DexClassLoader) found. Did not detect that you are unsafely deleting files. Did not detect the vulnerability of "Fragment" dynamically loading into "PreferenceActivity" or "SherlockPreferenceActivity"
This app is NOT using MonoDroid Framework (http://xamarin.com/android). No encoded Base64 String or Urls found. Did not detect codes for checking "ApplicationInfo.FLAG_DEBUGGABLE" in AndroidManifest.xml. Did not detect this app checks for APK installer sources. Ignore checking KeyStore protected by password or not because you're not using KeyStore. Did not detect this app has code setting preventing screenshot capturing. Did not detect this app is checking the signature in the code. Ignore checking "http.keepAlive" because you're not using "HttpURLConnection" and min_Sdk > 8. No Master Key Type I Vulnerability in this APK. No "dangerous" protection level customized permission found (AndroidManifest.xml). PermissionGroup in permission tag of AndroidManifest sets correctly. "intent-filter" of AndroidManifest.xml check OK.
No default or "normal" protection level customized permission found (AndroidManifest.xml). No exported components that forgot to add "android:" prefix. Did not detect this app is getting the "device id(IMEI)" by "TelephonyManager.getDeviceId()" approach. Did not detect this app is getting the 64-bit number "Settings.Secure.ANDROID_ID". Did not detect this app has code for sending SMS messages (sendDataMessage, sendMultipartTextMessage or sendTextMessage). This app does not use "android.uid.system" sharedUserId. Self-defined HOSTNAME VERIFIER checking OK.
Critical vulnerability "ALLOW_ALL_HOSTNAME_VERIFIER" field setting or "AllowAllHostnameVerifier" class instance not found. Did not detect SSLSocketFactory by insecure method "getInsecure". Did not discover urls that are not under SSL (Notice: if you encrypt the url string, we can not discover that). Did not detect critical usage of "WebViewClient"(MITM Vulnerability). Did not find vulnerable X509Certificate code. 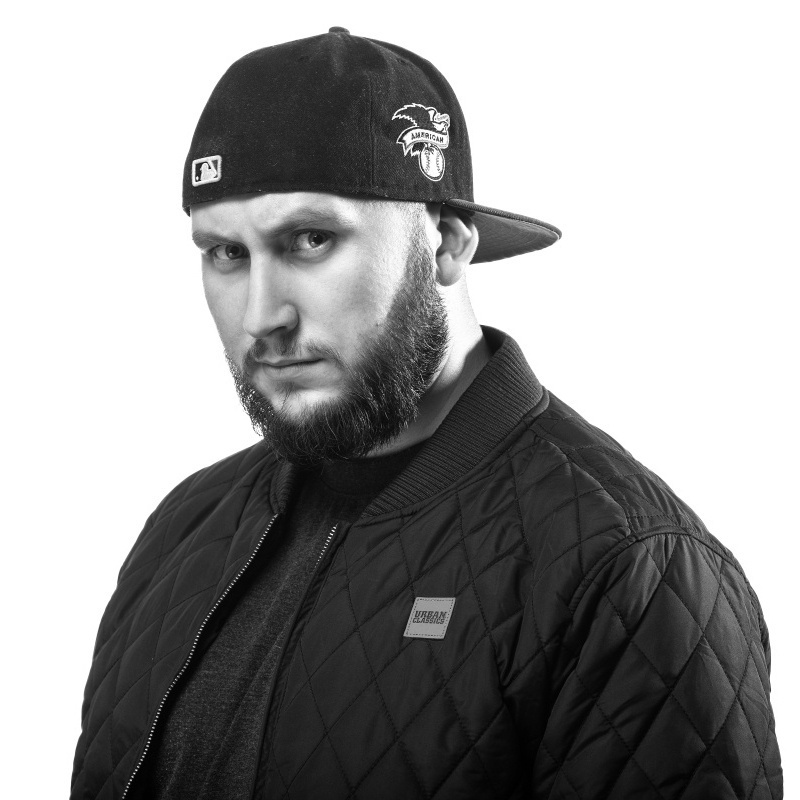 No HTTP-related connection codes found. No system-level critical use-permission found. AndroBugs is another static analysis tool suggested by OWASP MSTG for checking the security of Android apps. It is a very easy-to-use but effective tool. It is based on Python scripts and it seems to be very precise. A very important aspect is the fact that analysis is based on predefined vectors. You can also add your own vectors. Thanks to this feature you can easily extend detection capabilities. Vulnerability vectors are also the base of the optimization engine which, together with Massive Analysis mode, can significantly reduce the time of the analysis, especially when working on multiple applications at once. Another important element is the output and the information that it holds. The most important feature of the output file is severity classification. In my opinion, it can make the work of the reviewer much easier. Unfortunately, the output file is presented as plain text. The lack of a defined structure (like in JAADAS) can significantly inhibit integration with other tools in your CI/CD stack. However, the biggest drawback is, in my opinion, the fact that the tool is not maintained. The last commit to the repository was published almost three years ago. Four versions of Android have been released since then. This is very important due to the fact that all of these versions contain major updates related to security. In my opinion, the vector set should be updated with adjustments to new versions of the Android SDK. Unfortunately, this requires additional work. This, in turn, may disqualify AndroiBugs as a tool that can be easily and quickly integrated with your existing CI/CD stack.